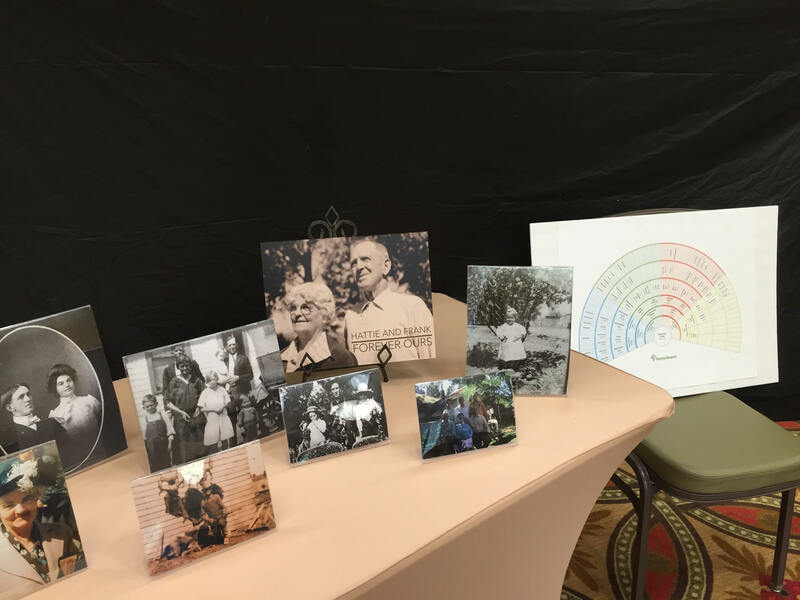 What do you when you’re put in charge of the family history part of your family reunion? How do you engage 150 people ages 0 – 87? If you’re my friend, Rischelle, you go to work and come up with some amazing activities. I asked her to share her ideas and photos, so enjoy. 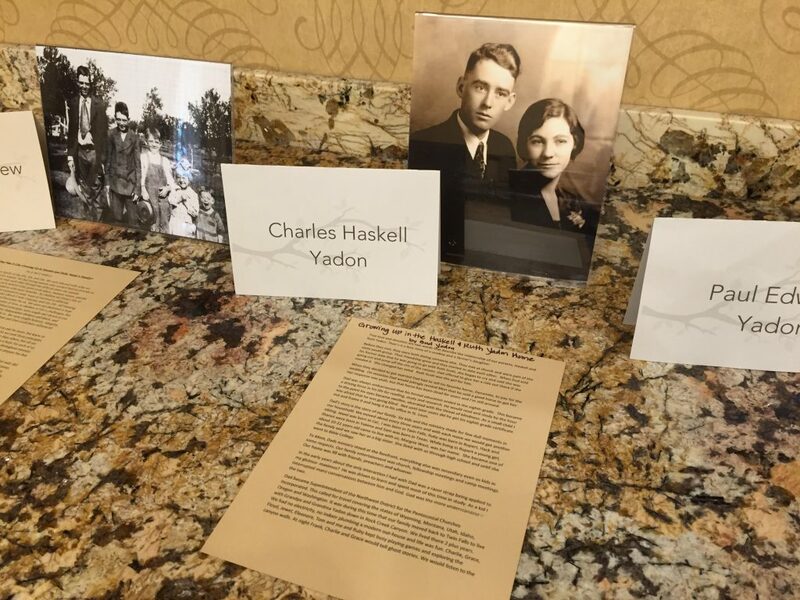 In June we held a large family reunion inviting all of the descendants of my great grandparents, Frank and Hattie Yadon. Although the nuclear family of Frank and Hattie and their eight children (including my Grandpa) have all passed away, that didn’t stop over 150 cousins, aunts, and uncles from gathering in Twin Falls, Idaho, where Frank and Hattie spent the majority of their life together. Family members came from all over the United States for three days to celebrate, have loads of fun, share stories, and make new memories. As part of the three day event, I was asked to head up a family history activity the first night for the entire group, ages 0-87! This was no small task trying to come up with engaging activities to meet the interests and abilities of all ages. But with the help of my immediate family, a little prep work, and a lot of check-lists, it turned out to be super fun and super successful. Everyone asked that we set it all up again for the next evening too! ople to enjoy at their leisure throughout the evening. Entire group – 15 min highlight video of Frank and Hattie’s story via photo slide show and previously recorded stories and memories. Right after the video, a fan chart was presented to a representative from each of Frank and Hattie’s children. 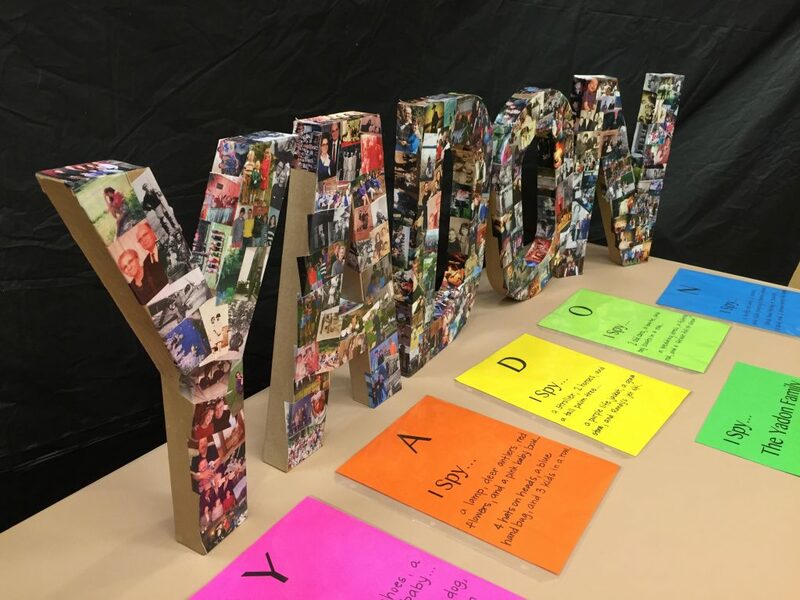 “YADON” I Spy – Several months prior to the family reunion, we put a call out to all the family to submit family photos – both old and new. These were all reduced down to 2” x 1.25” size and printed in color on regular copy paper. We then used modge podge to cover cardboard letters (we found ours at Hobby Lobby) with all the pictures. We had five letters (ours were about 2’ tall) that spelled our last name. We then made a cute little “I Spy” poem for each letter. 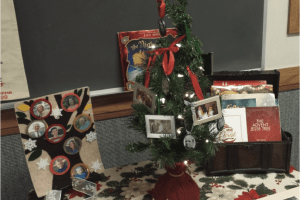 Everyone had a blast looking for the items on the poem, but also had a great time pointing out each other and sharing memories the pictures sparked. favorites starring Frank, Hattie, and their children. 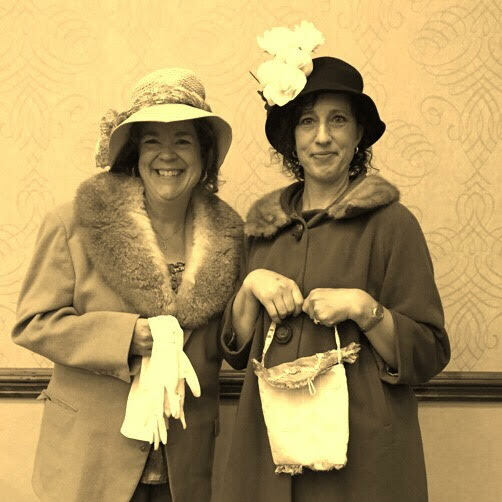 We then found old clothes, costume pieces, and props that would help to re-create these photos. People dressed up and had their picture taken. This started out to be just kids and teens participating, but it didn’t take too long for many of the adults to start dressing up too. That night, I took all the pictures, gave them a Sepia finish, and then posted them on our family Facebook page. So much fun! 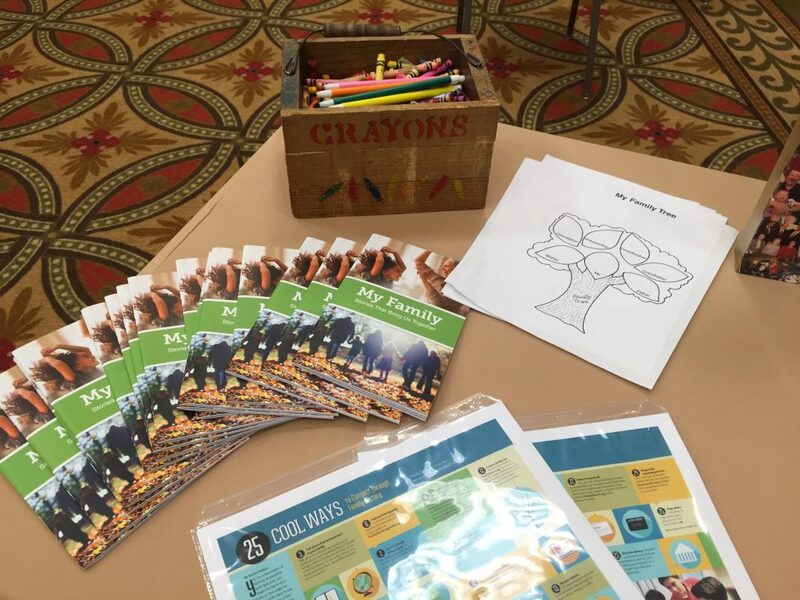 My Family Booklets and My Family Tree coloring page – We simply had these set up at a table with crayons, pens, and pencils for people to do while there or take them to do later. 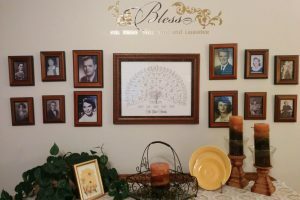 Fan Chart and FamilySearch Presentation – After presenting the fan charts to the heads of families, I did a short presentation on FamilySearch. 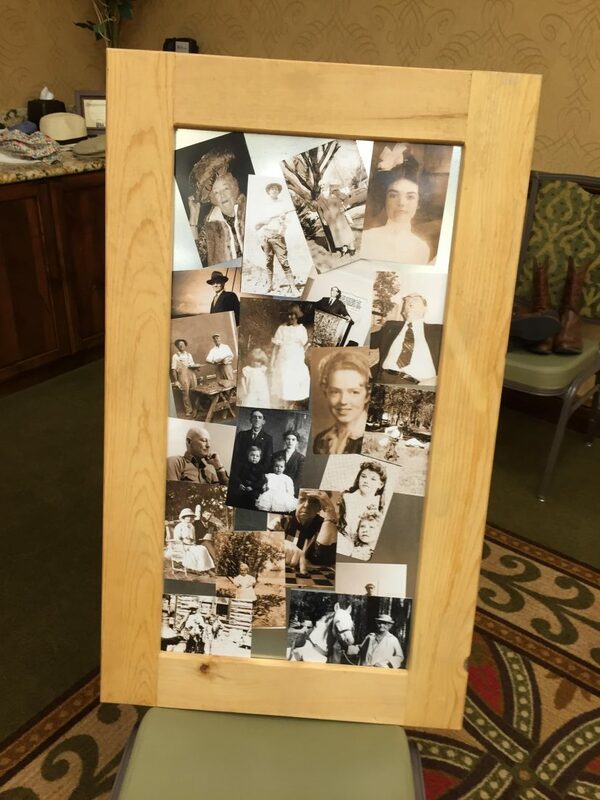 I shared our own family tree, photos, and stories that we entered on FamilySearch. I then had a one-page instruction sheet on how to sign up and hook into our family line. 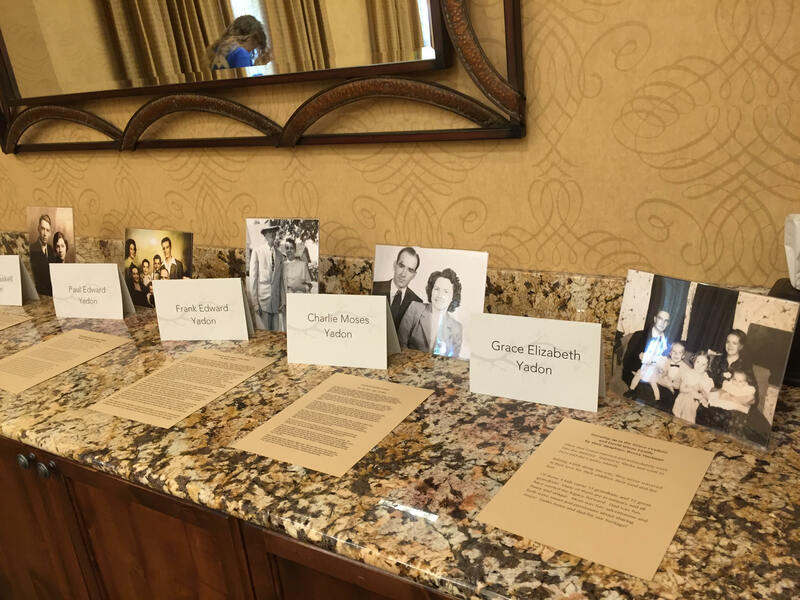 Photo Displays and Stories – Ahead of time, we asked a family representative from each of Frank and Hattie’s children to write a one page (or so) story of their parents. We simply used the prompt: What was it like growing up in the ___________ family? We printed an 8 x 10 of each child of Frank and Hattie and had their corresponding story for people to read. Also included were a few of our very favorite Frank and Hattie photos – from start to finish of their life together. Since I couldn’t be everywhere at once, I manned the Fan Chart and FamilySearch station and assigned some of my siblings to oversee the other stations. I also assigned one of my nephews to take photos of everyone enjoying the different stations. Of course, I enlisted everyone’s help for set up and take down. Many hands make light work. 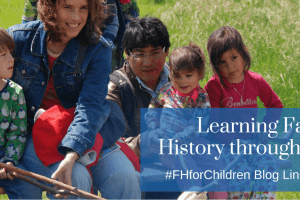 In the end, this activity sparked interest in family history, helped build relationships, got people talking and sharing, and was a great way to bring us together. Enjoy! I am working on a family reunion for 2019 and was wondering about your fan chart. What are the instructions? Also, how did you go about organizing the family booklet? Fan charts can be printed from the person profile of any individual on FamilySearch Family Tree. On the far right side, scroll down to “Print” then select Fan Chart. that will select a fan chart showing that individuals ancestors. The fan chart can be printed or downloaded so you could have it printed professionally in a larger size. The booklet is titled “My Family: Stories That Bring Us Together” and is available at https://store.lds.org/usa/en/my-family%3A-stories-that-bring-us-together. Each person would fill out their own booklet starting with themselves. Good luck with your reunion! I am working on our family reunion for 2019. I love the idea of the I Spy game. Can you give me an idea on your poems? I know my pictures Will not be the same , but it will give me an idea that hopefully I will be able to create our poems with. I’ll put you in touch with our guest blogger, Rischelle, who wrote this post and created the ideas. Best of luck with your reunion!